Purpose of Form : This form is used by lawful permanent residents, or nonimmigrants in A, G or E status who are seeking to apply for adjustment of status as permanent residents, and who are all working for a foreign government mission in the United States. The form primarily advises these immigrants and nonimmigrants (except French nationals who are covered by a special Convention between France and the United States) that they must waive certain diplomatic rights, privileges and immunities and pay U.S. income taxes on the salaries paid them by their foreign governments. Permanent residents in such situations who do not pay their taxes may be adjusted to A, G or E status; nonimmigrants in A, G or E status may be unable to adjust status as permanent residents. If you also require Form I-508F because you are a French national, you may obtain the form by calling 1-800-870-3676. Edition Date : 5/27/05. Versions other than the 5/27/05 edition are not acceptable. 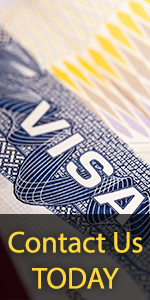 Depending on their circumstances, applicants file this form at their local USCIS office or the Nebraska Service Center.